The traditional sledge has been improved to make kick-sledging possible on ice, dense or soft snow. 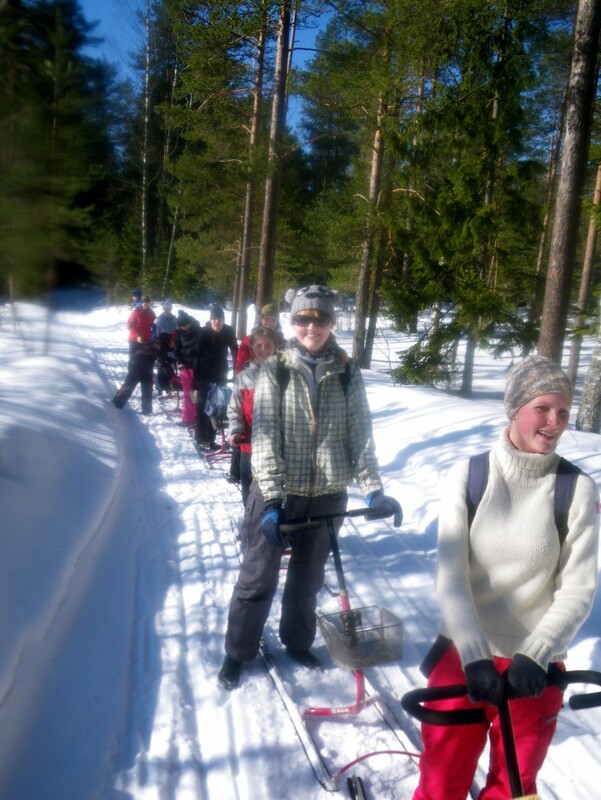 Reimann Retked offers kick-sledging trips on the snow in the forests and on sleigh paths. This unique activity is an exhilarating way to experience the winter environment. The trip in North-Kõrvemaa costs 30 EUR per person. The price includes instruction, rent of the sled, guiding and a meal. The distance and duration of the trip depends on the particular participants of the trip. The trips usually last from 4-6 hours and are 8-16 km long. The minimum group consists of 10 persons.